Safety Track Non-Skid Tape - Anti Slip Tape | Mats Inc. This material fits your specific needs, in assorted shapes and sizes. 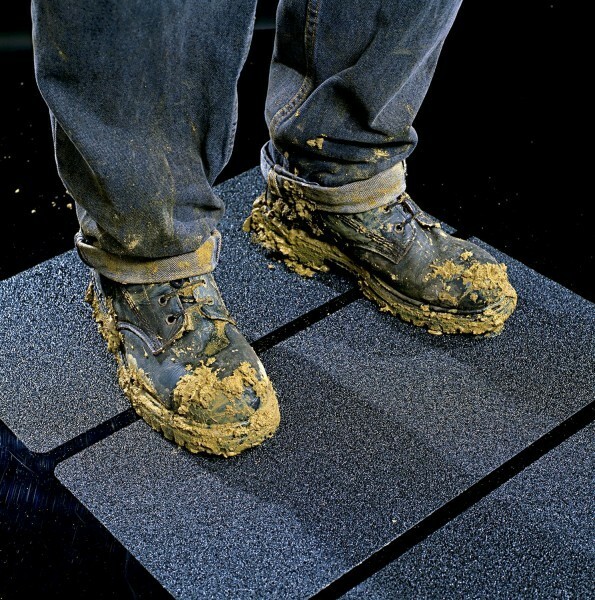 Assists in preventing costly slip and fall accidents and helps in complying with strict OSHA safety standards. This material can be used indoors or out, wet or dry, even around oil and grease. It goes on like tape to a clean, dry surface and is ready for immediate service.